20-22 October 2010, Pittsburgh, Pennsylvania, U.S.A.
DC-2010 marks the 15th anniversary of Dublin Core and the 10th year of the Annual Conference. To celebrate and reflect on the past and future, conference participants will engage in investigations in both research and application entailing advances that make metadata work harder in ways beyond the originally identified need for better resource discovery. The DCMI Abstract Model, the refined concept of Application Profiles and the initial Description Set Profile specification, represent an inflection point in the trajectory of metadata design and deployment in the service of human information needs. But all is not perfect and we have much to learn from sharing experience. DC-2010, will take stock of progress, look to the future and celebrate the broad scope of research and applied work in making metadata work harder. –Metadata interoperability across domains, languages, time, structures, and scales. Authors wishing to submit papers, reports, or poster proposals may do so through the DCMI Peer Review System at http://dcpapers.dublincore.org/index.php/pubs/. Author registration and instructions for the submission process appear under the �Information for Authors� link. Author Guidelines for full papers, project reports and posters/demonstrations are available through the DCMI Peer Review System. All submissions to the DC-2010 Conference Proceedings will be peer-reviewed by the International Program Committee. All submissions must be in English. Accepted submissions will be published in the official electronic Conference Proceedings. Unless previously arranged, accepted papers, project reports and posters must be presented in Pittsburgh by at least one of their authors. All submitting authors must provide basic information regarding current professional positions and affiliations as a condition of acceptance and publication. Accepted posters will be published in the Conference Proceedings and displayed at the conference. Unless otherwise arranged, accepted posters must be presented in Pittsburgh by at least one of their authors. However, with prior arrangement, posters may be included in the proceedings and presented by means of video ranging from 4-10 minutes in length and uploaded to YouTube with the link supplied at the time the poster is submitted. Asynchronous mechanisms for participant/author communications will be provided. 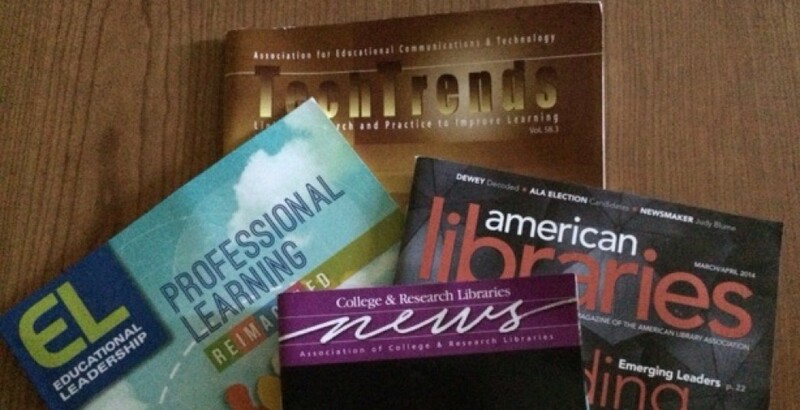 What is the “5th Annual Information Literacy Conference”? It is a one-day conference covering the various aspects of Information Literacy in academic institutions, public libraries or K – 12 education. Complete the Session Proposal Form and submit it by Friday, April 9, 2010. Papers are invited for the minitrack on “COLLABORATION IN VIRTUAL WORLDS AND METAVERSES” as part of the Collaboration Systems and Technology Track at the Hawaii International Conference on System Sciences (HICSS). Collaboration in virtual worlds presents a new area of research. Virtual worlds and metaverses provide a visual window to a persistent and synthetic world inhabited by avatars that are deeply involved in social interactions, along with economic and commercial activities. They are immersive by nature and reinvent the notions of “being together” and awareness for distributed teams. Virtual worlds and metaverses present challenges and opportunities for individuals and groups working together: challenges as groups using virtual worlds have to overcome limitations originating from not sharing the same physical space and opportunities as virtual worlds offer possibilities that are impossible in the real world. To address these challenges and opportunities, this minitrack invites theoretical and empirical research that investigates how individuals and teams within and between organizations use virtual worlds and metaverses to coordinate tasks, share information, simulate processes, solve problems, make decisions, create and manipulate objects, innovate, and create value. 1. The design, application, and evaluation of virtual world environments and applications. 2. The impact of virtual world characteristics on individual and team behavior. 3. Collaboration methods, techniques, patterns, and best practices to support productive (a)synchronous collaboration between individuals and groups. 4. Theoretical foundations and practical approaches to understand, model, and design collaboration in virtual worlds and metaverses. There are no preferred methodological stances for this minitrack: this minitrack is open to both qualitative and quantitative research, to research from a positivist, interpretivist, or critical perspective, to studies from the lab, from the field, or developmental in nature. � Identifying, measuring, and evaluating patterns of virtual world collaboration, e.g. generation, reduction, clarification, organization, evaluation, and commitment building. Authors submitting to the HICSS minitrack will be invited to submit an expanded version for a special issue in the Journal of the Association for Information Systems (JAIS) on Team Collaboration in Virtual Worlds. The submission deadline for this issue is 30 October, 2010. Please note that it is not required to submit a paper to the HICSS minitrack to be considered for the JAIS issue. 1. Submit an electronic copy of the full paper, 10 pages including title page, abstract, references and diagrams using the review system available at the HICSS site, make sure that the authors’ names and affiliation information has been removed to ensure an anonymous review. 2. Do not submit the paper to more than one minitrack. The paper should contain original material and not be previously published or currently submitted for consideration elsewhere. 3. Provide the required information to the review system such as title, full name of all authors, and their complete addresses including affiliation(s), telephone number(s) and e-mail address(es). 4. The first page of the paper should include the title and a (max) 300-word abstract. � May 15: OPTIONAL: Abstracts submitted to Minitrack Chairs for guidance, indication of appropriate content and to receive instructions on submitting full paper. � June 15: Full papers uploaded in the directory of the appropriate minitrack. � August 15: Notification of accepted papers mailed to authors. � September 15: Accepted manuscripts, camera-ready, uploaded; author(s) must register by this time. WMSCI 2010 (http://www.sysconfer.org/wmsci), 2010 in Orlando, Florida, USA. Participants in any conference can attend the sessions of other collocated conferences, and will receive electronic proceedings, in a CD, which includes the papers presented at all conferences and symposia. The convergence of recent technologies, web and mobile technologies, provides unique opportunities and an infrastructure for both face to face and online learning environments. However, specific environments for constructing knowledge are needed. In such environments, knowledge media should bring together the technology and learning theories to form meaningful settings for learners with different academic, administrative and support needs. IETC2010 aims to provide an environment for experts to discuss the current state of the art for learning in schools, industry and universities. Virtual environments, CSCL, m-learning, e-training and e-learning will be topics of particular interest. IETC2010 conference is supported by many universities and organizations, and it is venued by Bogazici University where the academic culture has long been a tradition. Further, the SSCI Indexed scholarly Journal TOJET sponsors the event through publishing selected papers. As it is the tenth annual event, IETC2010 has already formed a large, multi-national and friendly community of colleagues who love to share ideas. IETC2010 invites you to submit proposals for papers, panels, best practices, roundtables, tutorials, posters/demonstrations, and workshops. Selected papers will be invited to be considered for the SSCI Indexed journal, TOJET. We invite you to attend ED-MEDIA and submit proposals for papers, panels, roundtables, tutorials, workshops, posters/demonstrations, corporate showcases/demos, and SIG discussions. The Conference Review Policy requires that each proposal will be peer-reviewed by for inclusion in the conference program, proceedings book, and online proceedings available on EdITLib – Education and Information Technology Digital Library. Accepted papers will be published in the Proceedings internationally distributed through and archived in the AACE Digital Library. These proceedings serve as major sources in the multimedia/ hypermedia/ telecommunications community, reflecting the current state of the art in the discipline. If you have a question about the ED-MEDIA Conference, please send an E-mail to AACE Conference Services, or call 757-366-5606, or fax 703-997-8760. What is Your Library Doing about Emerging Technologies? Call For Participation : ALA Annual at D.C. - What is Your Library Doing about Emerging Technologies? Submission link: http://spreadsheets.google.com/viewform?formkey=dDktR2k2OUpGcGl3b1FkY3RSYjc1RlE6MA Submission deadline: April, 1, 2010 Do you directly work with emerging technologies at your library? Did you play a role in creating a librarian position for emerging technologies? Do you supervise a librarian who work with emerging technologies or have expertise in emerging technologies yourself? You don't have to hold the job title of "Emerging Technologies Librarian" to participate. If you answer yes to any of these questions, then we want to hear from you. Despite the popularity of the term, there is no clear definition or shared understanding about what "emerging technologies" mean to libraries and librarians. Almost all libraries strive to stay current with quickly changing technologies. But not all libraries have established a formal method and procedure of supporting, evaluating, implementing, and adopting emerging technologies. ALA LITA Emerging Technologies Interests Group (ETIG) is seeking participants to a panel discussion - "What are your libraries doing about emerging technologies" at ALA Annual 2010 at Washington D.C. We are particularly interested in identifying librarians, library administrators, and technology experts who can contribute to the following (but not limited) topics: * What do we mean when we say "emerging technologies"? * What motivates libraries and administrators to create a new position for "emerging technologies"? * What are the daily tasks performed or projects achieved by (emerging) technology librarians at your libraries? * What are the challenges for emerging technologies for libraries? (From both a manager's, a librarian's, or a technologist's perspective) * How do you evaluate, implement and adopt emerging technologies? * What should libraries be doing about emerging technologies? * Other thoughts about libraries and emerging technologies If you are interested, please submit your proposal by filling out this form: http://spreadsheets.google.com/viewform?formkey=dDktR2k2OUpGcGl3b1FkY3RSYjc1RlE6MA If you have any questions, please contact Bohyun Kim (bohyun.kim@fiu.edu), ETIG member, or Jacquelyn Erdman (ERDMANJ@ecu.edu), ETIG vice Chair. In celebration of Mother's Day, The Motherhood Institute for Research and Community Involvement (MIRCI) with co-sponsor, Ryerson University Department of English, are hosting a conference on the topic of Representing Motherhood: Mothers in the Arts, Literature, Media and Popular Culture May 21-22, 2010, Ryerson University, Toronto, ON. We welcome submissions from scholars, students, activists, artists, community agencies, service providers, journalists, mothers and others who work or research in this area. Cross-cultural, historical, and comparative work is encouraged. We encourage a variety of types of submissions including academic papers from all disciplines, workshops, creative submissions, performances, storytelling, visual arts, and other alternative formats. Topics can include (but are not limited to): Representing the Maternal in Film, Video, Art, Music, and Theater; Theorizing Motherhood and Representation; Race, Representation and Motherhood; Maternal Ambivalence in visual culture; Countering Media Discourses on Motherhood; Maternal Loss, Depression, and Domestic Violence; Performing Feminist Mothering in Practice and Expression; Mother Writer: Writing Motherhood; Creating Outlaw Children; Imaging LGBT Mothers and Maternity; "Late bloomers": Post-Maternal Mother Artists; Representing Motherhood on the Internet; The Politics of Motherhood and Spirituality in Music and Visual Culture; Motherhood, Art, and Creativity; Healing and Creativity; The Performance of the Maternal or Performing Motherhood; Mothering and Disability: Producing New Paradigms of Normal; Motherhood in the News: Mothers as Newsmaker; Documenting Motherhood: Maternal Documentaries; Mothers, Motherhood and Photography; Behind the Camera: Mothers as Filmmakers, Directors, Producers; Mother Musicians across Musical Genres: Rock, Rap, Folk, Blues, Jazz, Country Narratives of Creative Mothers: Moms who "Rock," Expressing: Imaging Breastfeeding Mothers, Mommy Bloggers: Re-Writing Motherhood, etc. ; Dealing with (Post-partum) Depression by Making Creative Work; Pregnant moms; Celebrity mothers; How images of fathers impact motherhood representation; News media coverage of foster moms; Moms in politics; teen mothers in film or television; advertising as aimed at pregnant/new Moms; Mothers as consumers; Mothering and the representation of Class EXTENDED DEADLINE FOR ABSTRACT SUBMISSIONS *Please email 250 word presentation abstract (including title) and 50 word bio to info@motherhoodinstitute.org by April 10, 2010 Motherhood Institute for Research and Community Involvement (MIRCI) www.motherhoodinstitute.org info@motherhoodinstitute.org ------------------ Dr. Andrea O'Reilly, Associate Professor, School of Women's Studies, Founder-Director: Association for Research on Mothering, Journal of the Association for Research on Mothering, Demeter Press, Co-Founder, Museum of Motherhood, Co-Founder, International Mothers Network, Editor, Encyclopedia of Motherhood, Sage Press, 2010. York University, Toronto, Ont., M3J 1P3 416 736 2100;60366 aoreilly@yorku.ca www.yorku.ca/arm RECENT BOOK PUBLICATIONS: Monographs Toni Morrison and Motherhood: A Politics of the Heart. SUNY Press, 2004. Rocking the Cradle: Thoughts on Motherhood, Feminism and The Possibility of Empowered Mothering.Demeter Press, 2006. Edited: Books Feminist Mothering. SUNY Press, 2008. Maternal Theory: Essential Readings.Demeter Press, 2007. You Can Get There from Here: Celebrating 25 Years of Bridging Courses for Women at York University. With Ruby Newman. School of Women's Studies, York University, 2006. Motherhood: Power and Oppression. With Marie Porter and Patricia Short. Women's Press, 2005. “Loving Our Bodies, Changing the World” is the theme of the 2010 National NOW Conference, and this year’s event features a summit on health and body image issues. For this panel, I am seeking two other folks with an interest in talking about the intersections of fat liberation and feminism. I am particularly interested in activists working for feminist and fat social change, and scholars working in the fields of women’s/gender studies and fat studies. The panelists would talk about their scholarly, activist and policy work and discuss how feminism needs to coalesce more with the fat rights movement, and vice verse. We will discuss the so-called “war on obesity” and the need to mobilize size-positive and feminist communities to fight back against fatphobia and show that fat liberation is a feminist issue. I particularly seek abstracts that include an intersectional analysis that also takes into account issues of race, ethnicity, class, disability and other categories. If you are interested, please send me an email (Joelle.Ryan@unh.edu ) ASAP (no later than April 19) with a short abstract about your presentation for the panel and full contact info. For this panel, I am seeking two other folks who are interested in talking about transfeminism from both theoretical and activist standpoints. In particular, I am interested in how transfeminist analyses can be deployed to make concrete changes in institutions, organizational settings and activist movements. How can transfeminism strengthen the movement for women’s liberation, and vice verse? How can we combat transphobia in the feminist movement and anti-feminism in the trans community? How do we promote unity and dialogue between diverse gendered populations in order to work together for common goals? The goal of the panel is to highlight people working in the scholarly and activist fields of transfeminism and to use our insights to promote transfeminism as a pivotal critical intervention in the contemporary feminist movement. In addition, we will discuss how transfeminism can be positioned in ways that are not “divisive” but that can promote an inclusive, coalitional! politics. Intersectional analyses that are inclusive of race, ethnicity, class, disability and other categories are highly encouraged.